Taiwan has moved up to 32nd the table of Transparency International’s corruption table in its Annual Corruption Perceptions Index report. Taiwan reached its highest level in the survey in 17 years, reports said, but nevertheless still was surpassed by Asian rivals Singapore, Hong Kong and Japan. Singapore was the only Asian nation among the ten cleanest countries, at No.5. New Zealand came out on top, followed by several Northern European countries. 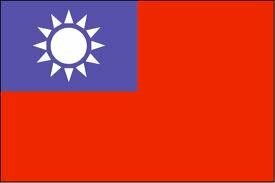 On a scale from 0 to 10 points, Taiwan received 6.1 points. The higher the number of points, the less corrupt a country is perceived to be. The Taiwanese result was based on data from ten surveys conducted by seven organizations. Taiwan left South Korea behind at No.43, Macau at No.46 and China at No.75. Transparency International noted that moves up and down the list were sometimes caused by more countries entering or leaving the survey. The group, founded in 1993, says it is a global civil society organization bringing people together in a worldwide fight against corruption. The CPI ranks countries based on how corrupt a country’s public sector is perceived to be, the organization says on its web site. It uses a combination of polls, drawing on corruption-related data from expert and business surveys carried out by independent institutions. The CPI reflects views from around the world, including those of experts living and working in the countries evaluated, the organization says. To view Transparency International’s Annual Corruption Perceptions data, click here.